You’ve made a huge achievement in getting this far in your Mini Marathon preparations. 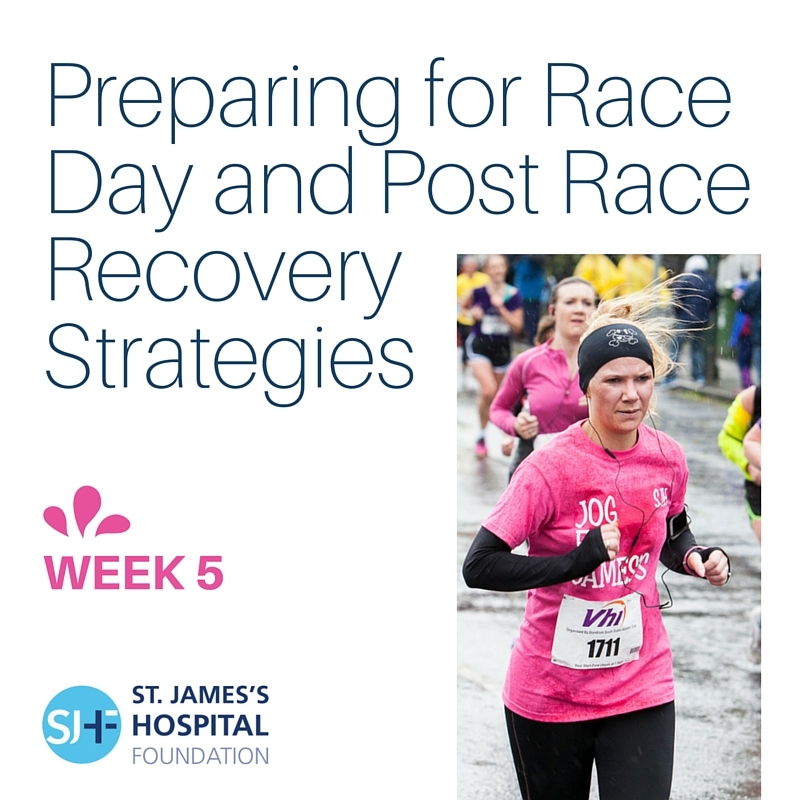 Below are some tips to assist you in preparing for race day and to advise you on post race recovery and injury prevention. Ensure you are wearing comfortable footwear and clothing. DO NOT wait until race day to try anything new. Ensure you perform an adequate dynamic warm-up prior to the start: this involves easy jogging, short strides and dynamic drills involving heel kicks, high knee running, and trunk twists. Follow this with short duration stretches of the main leg muscle groups (see edition 2). Remember to keep your body relaxed and warm. Rub Vaseline on body areas that are repetitively rubbing against your clothing. Avoid blisters by wearing ‘Second-Skin’ over vulnerable areas on feet and toes if required. As uncomfortable as it may be, keep moving after you finish; this will help prevent joint stiffness and muscle tightness and therefore minimise the onset of pain. Follow the P.R.I.C.E protocol if an injury occurs during the Mini Marathon or as a result of completion of the race (see edition 3). Allow sufficient time for your body to rest before returning to jogging/running, try walking, or pool exercise to aid in recovery in the first week before easing onto land jogging/running. Consult your Chartered Physiotherapist if you need post race recovery advice, or treatment for ‘niggles’ or injuries that may have developed from the exertions of the Mini Marathon. Finally the most important thing to remember is to enjoy the day. Week 3: Fluids – Are you drinking enough?